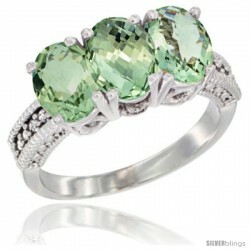 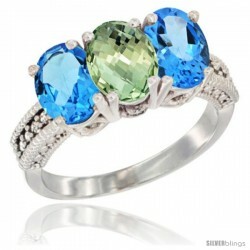 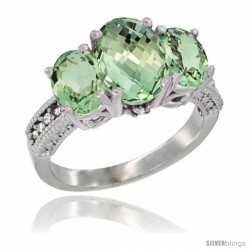 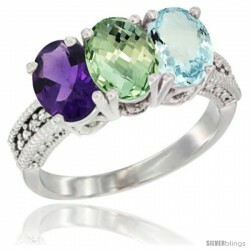 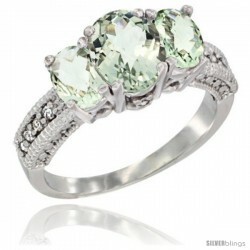 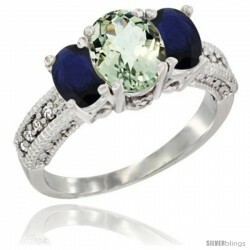 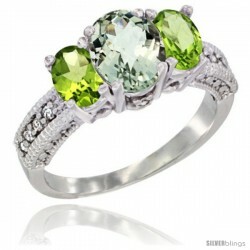 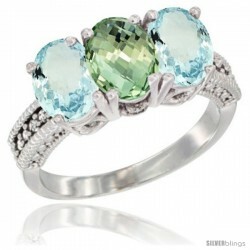 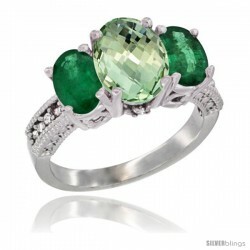 This gorgeous and classy 3-Stone Green Amethyst Ring crafted of 10k White Gold is simple yet stunning. 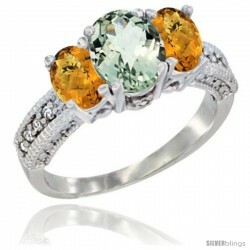 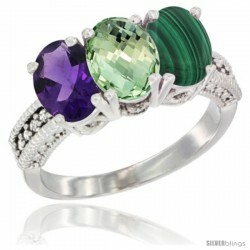 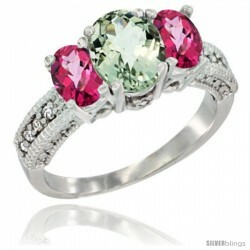 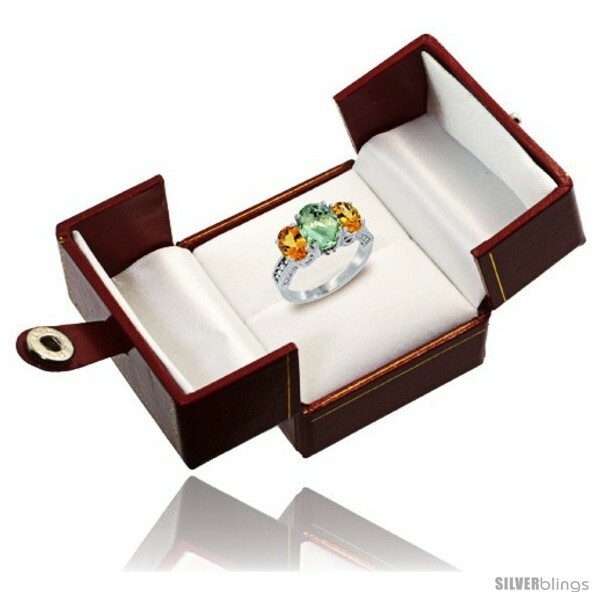 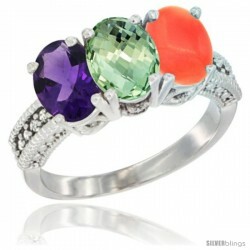 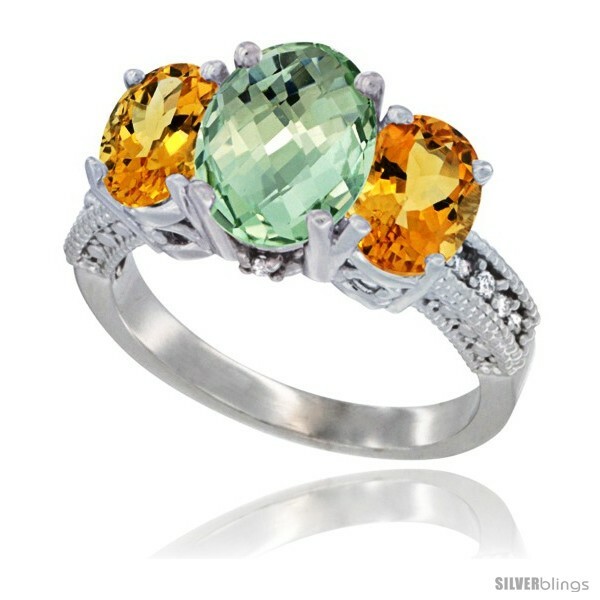 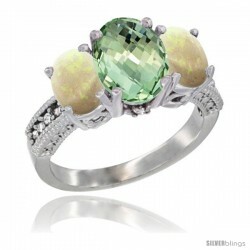 This Ring is made of solid 10K Gold set with Natural Gemstones and accented with Genuine Brilliant Cut Diamonds. Available in sizes 5 to 10 with half sizes.